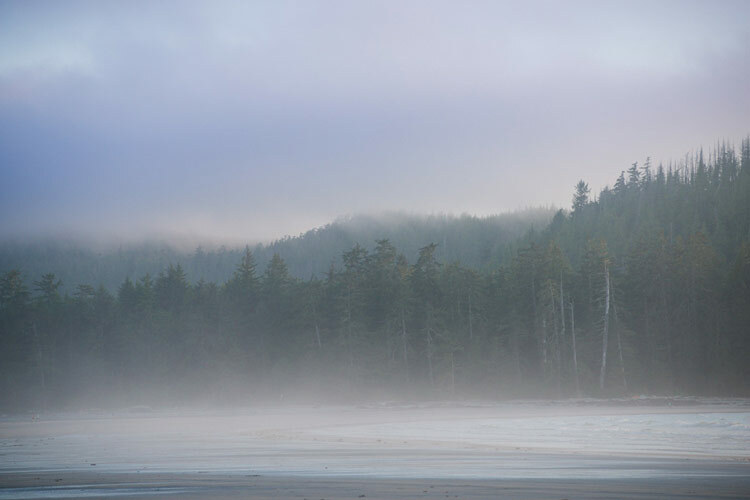 Earlier this summer I made the long journey up to the northern most point of Vancouver Island and spent 5 days exploring the area in Cape Scott Provincial park. 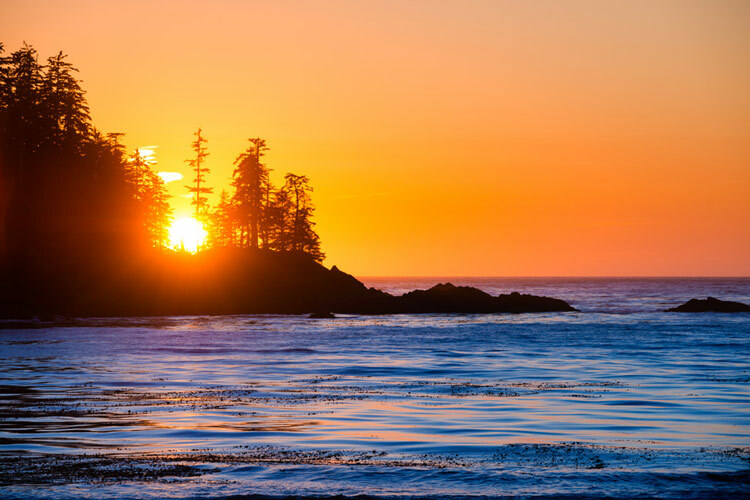 I have never explored the much of northern Vancouver Island but it has always been a place I have wanted to see more of. 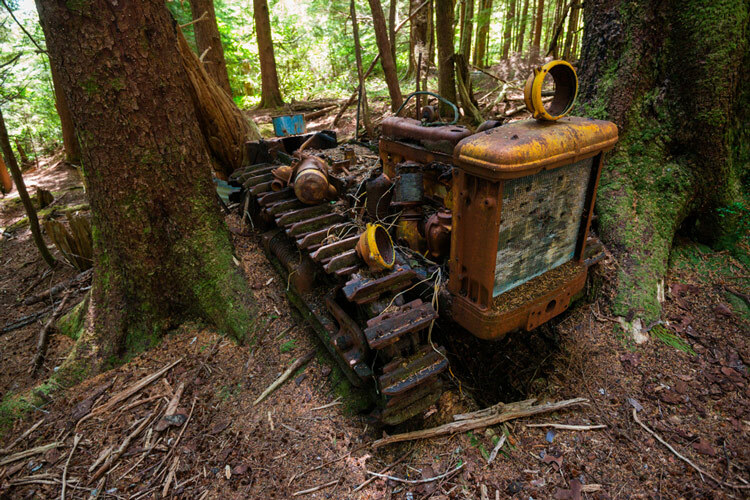 Cape Scott is an interesting mix of natural beauty and history. It is the site of a number of separate attempts at early settlement and later on a top secret radar instillation that is now home to a lighthouse. After a lengthy drive on winding roads to get to Port Hardy you turn off for the final part of the journey to access the park, 65km of gravel roads that passes through the the small town of Holberg before reaching the trail head. From the trail head there are a number of options but we decided to setup a base camp at Nels Bight, a 2400 meter long sandy beach about 17km from the parking lot that includes a ranger cabin. This central location provides a good starting place to explore the beaches in the area. 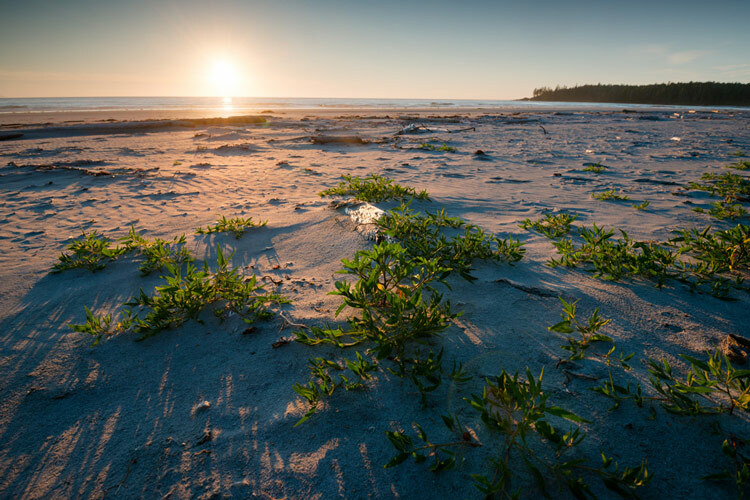 Nels Bight is a stunning beach that offers stunning views and a fantastic place to watch the sunset. Over the next 2 nights we experienced very different weather patterns, our first night was clear without a cloud to be seen. Waking up the next morning we got to see something a little different as a heavy cloud had rolled in, while the it was sad to loose the sun the fog and cloud made for some unique photo opportunities. Under the cover of cloud we made our way towards Guise Bay, Experiment Bight with the Cape Scott lighthouse before returning back to base camp at Nels Bight. Guise Bay was one of the more stunning beaches that we got to see, had it been warmer out it would have been something you could almost imagine as being tropical. Guise Bay was the site of a number of building from a secret radar station at Cape Scott operated by the Royal Canadian Air Force during World War II, the current site of the lighthouse was also used for this installation and in fact the lighthouse sits on the same foundations as the old radar dome. Signs of these prior uses are clearly visible, some more than others such as the old plank road that leads from Guise Bay to the lighthouse. The lighthouse is somewhat utilitarian and is not what one would think of when you think of a lighthouse, it is simply a light mounted on a short tower located on the highlands of the cape. Experiment Bight is separated by a small band of sand dunes from Guise Bay, these sand dunes are not something that is commonly found on Vancouver Island so it was neat to explore them on the way over to Experiment Bight. 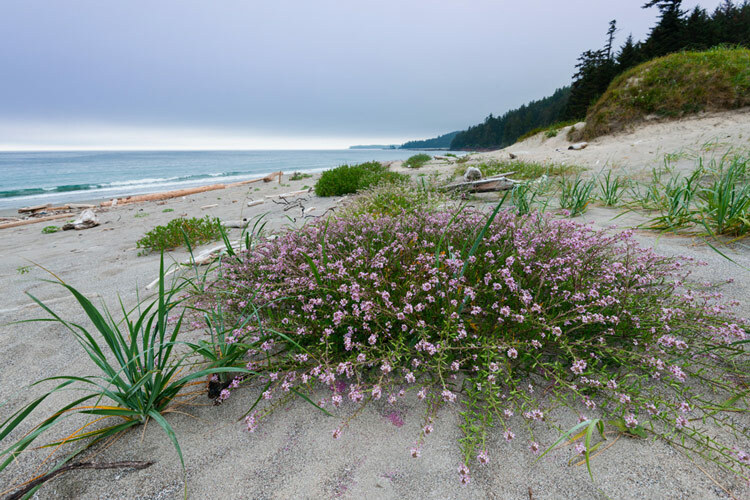 Flowers grow in sand above the high tide mark at Experiment Bight. By the time the sun was setting it appeared that the fog and clouds that had hung over us all day was starting to clear making for a very different sunset compared to the previous evening. After a day of fog and cloud we once again woke up to beautiful clear sunny skies, this morning we packed up camp and made our way over to the less popular Nissen Bight for the night. The relatively short hike over to Nissen Bight passes through the main Cape Scott settlement area which has a number of remains of attempts to tame the area by settlers in the late 1800’s and early 1900’s although some did stick around until the 50’s most had left with the onset of World War I.
Nissen Bight and Fishermans Bay are very close to each other and can be accessed by a short trail or tide permitting over the beach. Nissen bight offers a less populated camp site although the water source is some distance from the main camping area. Nissen bight is also the start (or end) of the North Coast trail. Sunset as viewed from Fishermans Bay near Nissen Bight. After a night at Nissen Bight it was on to our final camp destination at San Josef Bay before heading home, although it was a long day of hiking it was easy going as it is mostly flat (or downhill) the whole way. San Josef Bay is a stunning white sand beach which has some unique sea stacks and caves between 2 bays. The sea caves and 2nd bay are only accessible when the tides permit, there is a steep overland route but it looked rather difficult. 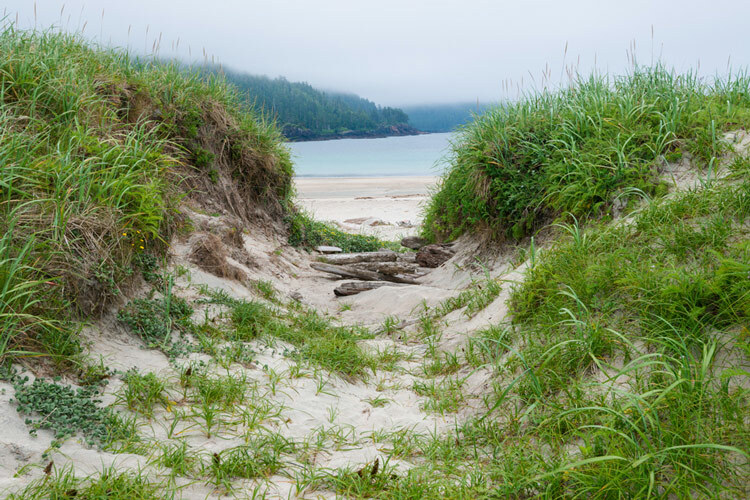 It should also be noted that while San Josef Bay does have a water source it is located at the 2nd beach which may be cut off due to the tide to keep that in mind when planning (we collected water at Eric lake). 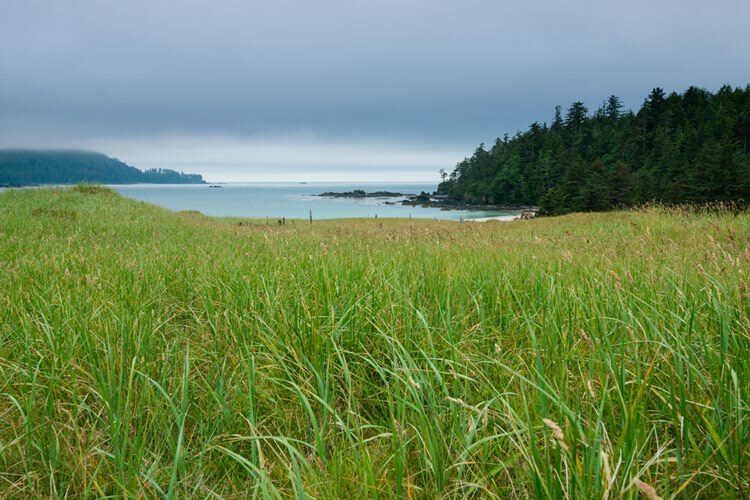 San Josef Bay is a popular location for day hikers or less adventuress hikers as it is a short few kilometers from the trail head so expect it to see more crowds than other beaches in the park. 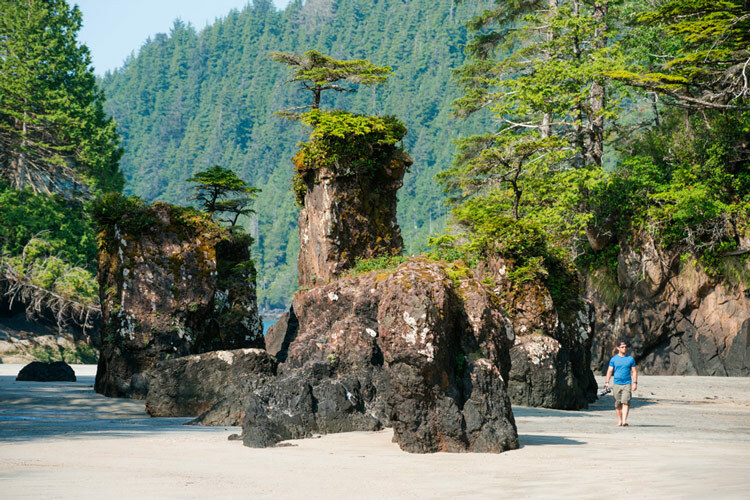 Cape Scott is an iconic hike and is well worth the journey to get there. It offers an amazing selection beautiful natural sites with some neat history which is not something you experience at most hiking destinations. 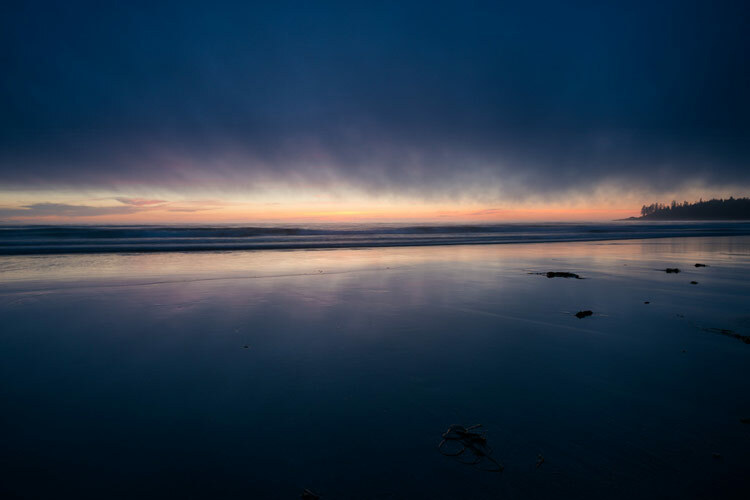 While the hiking is relatively easy the distances getting out to the beaches near the cape are long and depending on the conditions can be a challenge in that regard. 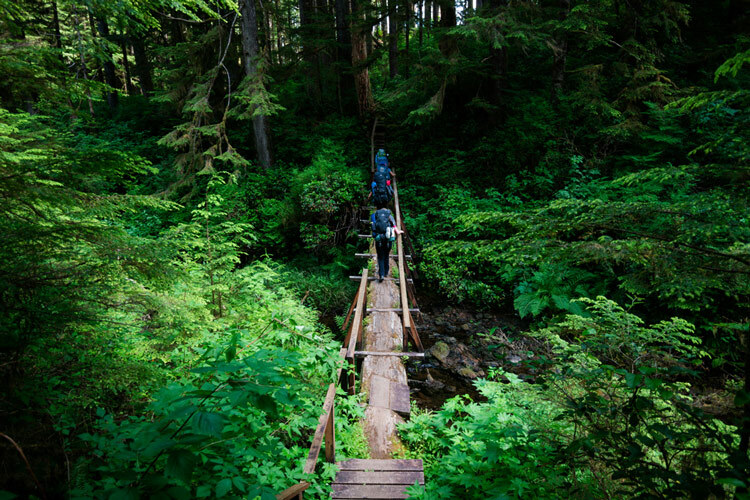 This entry was posted in camping, hiking, park and tagged camping, cape scott, hiking, vancouver island. I’m very interested in the Cape Scott radar station – my Dad was posted there in 1942-43. Are there any ruins left? How hard is it to get to? How close can you drive (time is limited sadly)? Do you know how I could find out more? Many thanks for your help – it’s exciting to hear about your adventure! There is not much left, a few concrete foundations and some telegraph poles along with the plank road. Unfortunately it is not super easy to get there, from where you park it is probably close to a 30km walk each way. I don’t really have much info about the radar station itself.